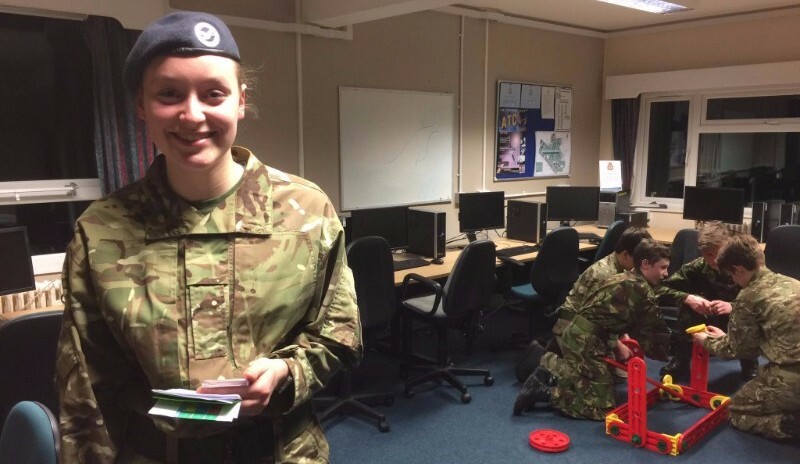 On Friday 13th January myself, Cadet J. Tucker and Cadet Corporal A. Bowden organised an Inter-Flight Competition where teams of cadets compete against each other using their teamwork, leadership and problem-solving skills. The cadets were sorted into three groups and switched between the three activities throughout the night. My activity was called Replicator Challenge. Within the group, the cadets had to split themselves into two teams: the ‘builders’ and the remaining cadets. 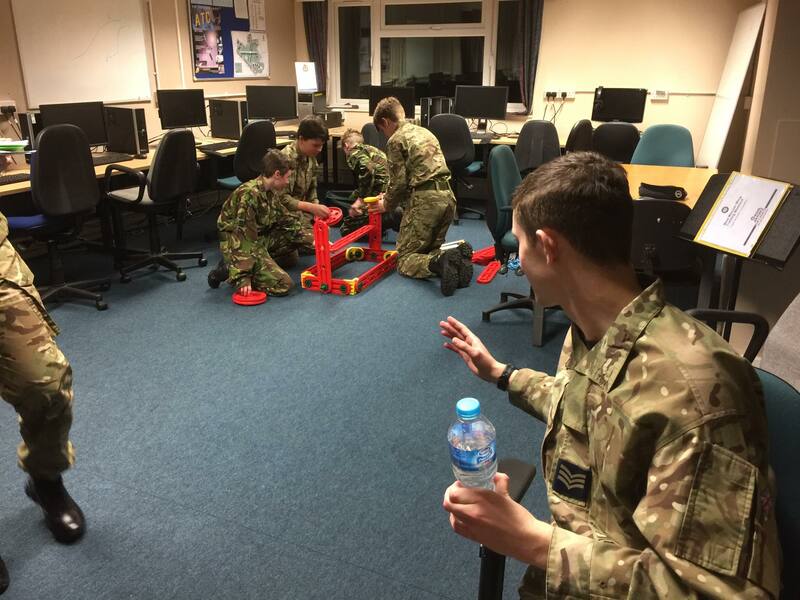 The remaining cadets were working with the ‘builders’ to get information about what to build. There was a structure placed in one room and that structure had to be copied by the ‘builders’ in the room next door without looking at it themselves. The description of the structure would be passed along a line and the structure would be built depending on how the cadets were describing it to them. Below: the structure that had to be replicated. Below: the group’s interpretation of the structure. After their allotted time they were judged on teamwork, quality and accuracy of the build and leadership. During the night, I adapted and made improvements to the activity throughout the night to further improve the challenge. 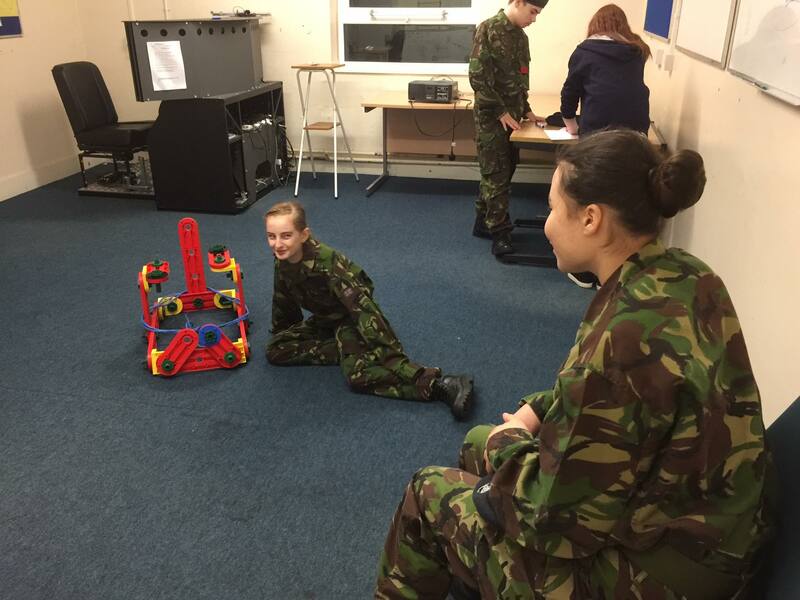 The whole night went really well for everyone, and there was lots of positive feedback from the cadets!